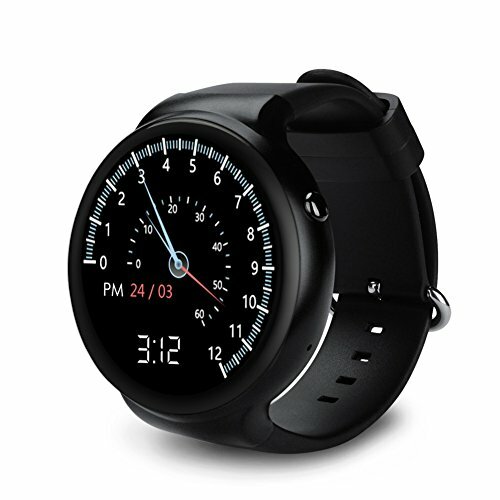 Fashion IQI I4 3G smart watch,with 1.39" AMOLED with 400x400 pixel,Tempered glass round screen, variety of dial display for individual choices. Advanced MTK6580 1.3G Quad-core processor,Android 5.1 Operating System,1 GB + 16 GB large memory, Support Nano SIM card,built-in 350mAh lithium battery with 2-3 days standby time. Sports and Health Tracker, I4 watch can record your daily steps, calories and distance. Let you know your sports data, adjust your exercise program and get a healthier life. I4 precise heart rate sensor for real-time heart rate measure. Support 3G/GPS/WIFI: 2G GSM 800/900/1800/1900 and 3G WCDMA850/2100,easily load into Google Store for more apps you need.Built-in GPS and fitness apps keep you going,you will never miss your way even without your phone. Compatible with Android smart phones,Support call & message reminder,message Notification via bluetooth connection. Soft TPU watch strap for comfortable wear. If you have any questions about this product by Gentman, contact us by completing and submitting the form below. If you are looking for a specif part number, please include it with your message.